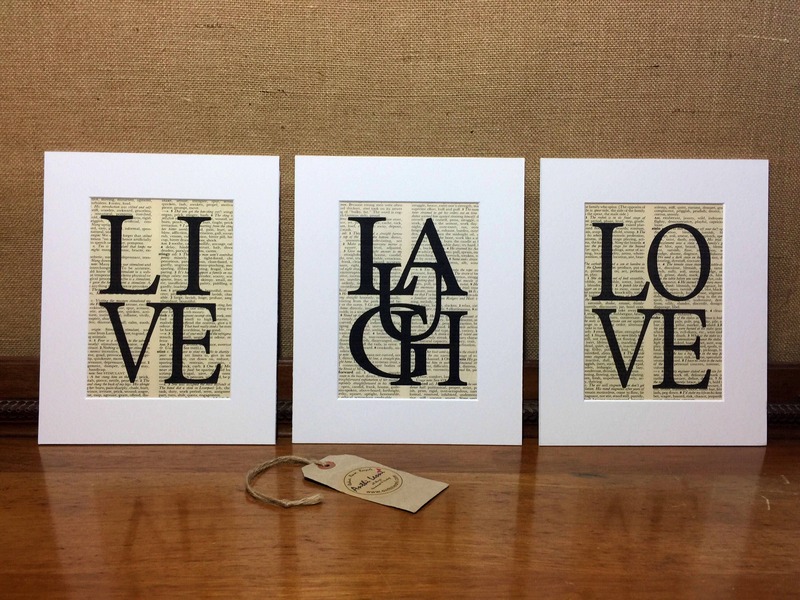 Each print is already carefully mounted and presented in a clear cellophane re-seal bag ready to be given as a gift. 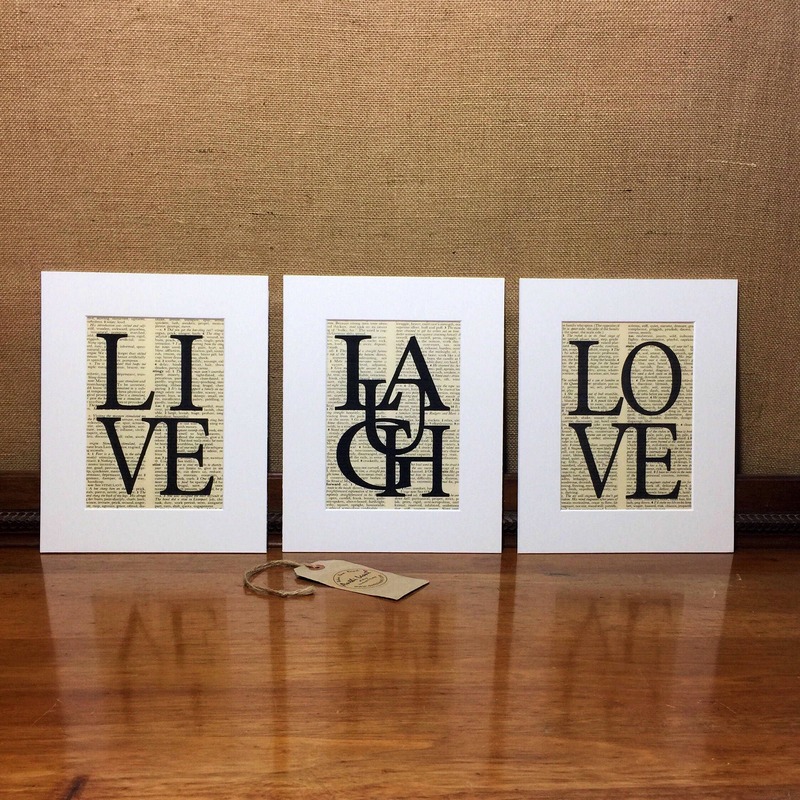 And if you happen to be looking for some pretty typography to decorate your hallway, lounge, bedroom or dining room then these are a wonderful idea as these look beautiful framed in both antique and contemporary style frames for both the modern and vintage style homes. 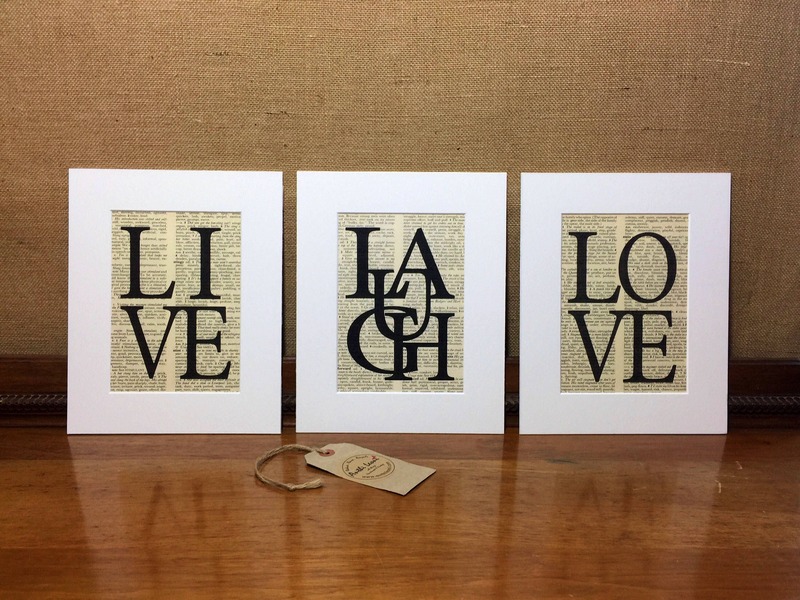 As this lovely typography is printed on old salvaged dictionary paper with its age old patina, the yellowing of the pages and the printed content make each individual page unique. 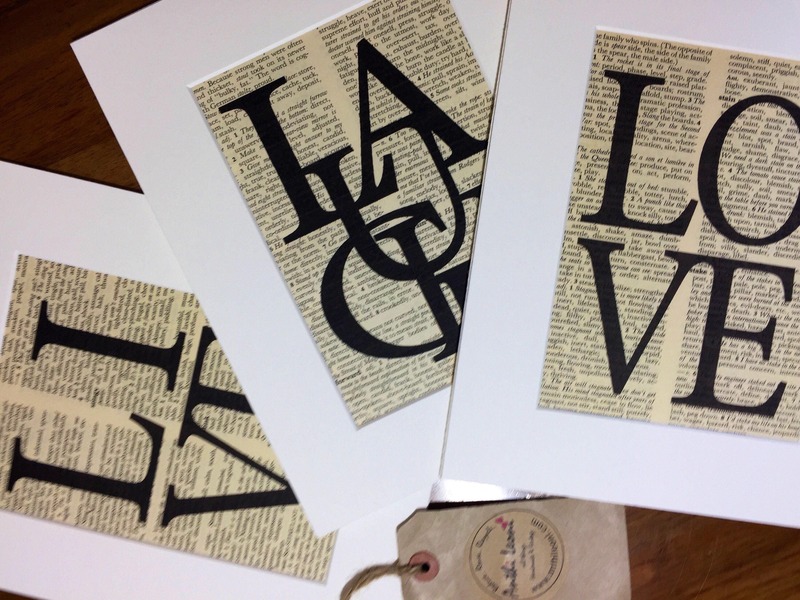 I print on random dictionary pages unless otherwise requested. 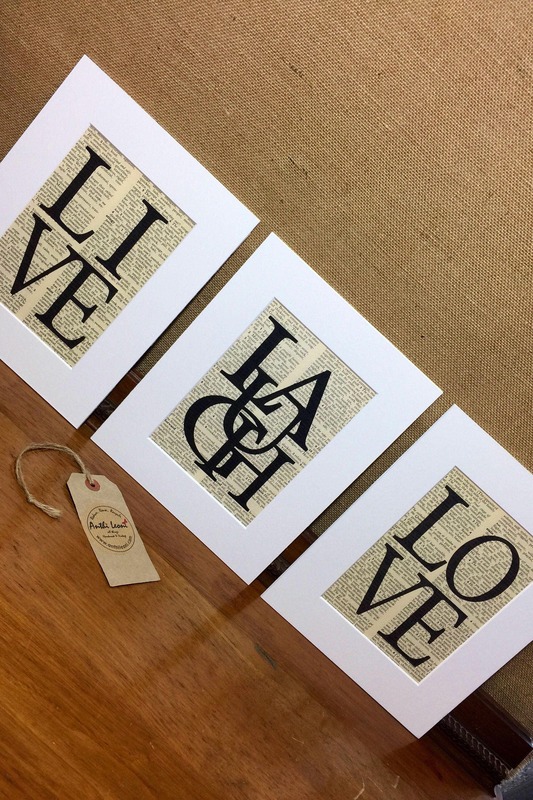 Printed with Rich Black ink.